This page is a playbook for quick answers to commonly asked questions about closing the year in Sage ERP MAS 90 and 200. Even where I’ve referred to a product as MAS 90 or MAS 200 — the information is equally applicable to both unless otherwise noted. Important: Consult with your Sage Business Partner prior to installing any updates or patches. In some cases if you have customizations you may required an additional update to that customization or you may loose some or all of those added features. Prior to installing ANY upgrades, service updates or IRD (Interim Release Disk) we advise you to consult with your Sage Business Partner. This is geared to be an overview and not training. This information is offered as-is and without warranty or guarantee as to completeness or accuracy. The Aatrix help phone number is incorrect is wrong in at least one of the Sage e-Filing help pages. The correct number is 701-746-6814. I have more information on where I found the wrong number here. Are You Using These New Features? Tip: Before you’ll be able to log into most of the links below you’ll need to be active on Sage Basic Maintenance and logged into the Sage support site. If you do NOT have a login – you can create an account here. If you DO HAVE a login, first login here then come back to access the links below. For 1099’s – make sure you are using the correct form – if on a laser printer you MUST select LASER 1099 as the form type or you may never get them to line up properly. Unless you enjoy late night trips to Staples or Office Depot to hunt for extra forms, make a test run first to plain paper. For both W2 and 1099, click the FORM button after loading the IRD and then click RESET. This resets your form to defaults. It will correct almost every issue known to mankind, make you beautiful and thin, and most of all let you print IRS submittable W2 and 1099 forms. In order to print to W2 box 14, you must make a manual change. Search the Sage Knowledgebase for “Box 14” to discover the secret. An IRD is an Interim Release Disk. Typically released at year end time and it contains minor program fixes to address new W2 or 1099 forms (though it can change more than that depending upon year end tax changes). These are separate from Service Updates because they address only the items needed to process your year end, therefore not forcing those with customizations to upgrade their entire system. What are service packs and service updates? TIP: Before most of the Sage specific links will take you directly to the page, you need to first log in through the main Sage web site. This authenticates your computer. Once you’ve logged in, the direct links below should work like a charm. …after logging in to Sage, these links bring you directly to the goodies..
(b) Interim Releases (when applicable apply before printing w2s and/or 1099’s) – you will not need an interim releases in years that nothing changes in the W2, 1099 or Electronic Filing. 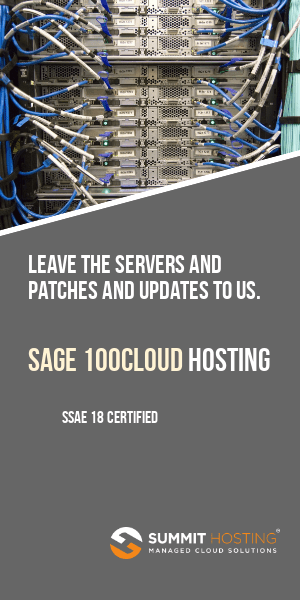 TIP: If you have any enhancements to your Sage MAS 90 and MAS 200, or are unsure if you do, then do NOT load any of the SERVICE PACKS or SERVICE UPDATES without talking to your Sage Business Partner. Generally Interim Release Disks are ok to load since they modify only one particular area of your software (usually form printing). If you have any doubts about this – talk with your Sage Business Partner. TIP: If you’re not aligned with a Sage Business Partner, and not interested in spending another red cent on consulting, make a trip to the Sage Community forums. You can interact for free with Sage Business Partners and other users. This is not as good as having a one-on-one discussion with a Business Partner who knows your setup — but it’s better than nothing. -What do the seasoned veterans do at year end? If you’re using Payroll and printing W2 forms – do not load the NEW tax tables until you have printed the W2’s. If you ignore this advice you’ll find that the new FICA limits may interfere with the W2 printing because anyone who exceeds the maximum wage base is automatically assigned the FICA limit value that is in the tax table. -Review Source Journal Options – do you want them to reset on you at year end? -Review “Copy Actual to Default Budget at Year End” – most people do NOT want to check this box or they will lose any budget data that they entered for the new year. -To re-open years in GL – go to General Ledger – Setup – General Ledger options and set the year and period back. -One 1099 change for 1099-INT – layout changed only for this form – MUST have Interim release -If filing 1099’s electronically- say NO to “clear” prompt! -Sage MAS 90 payroll looks at the FICA maximum in your current tax table (remember tax tables are shared among ALL companies). If any employee has exceeded the FICA maximum, Sage MAS 90 defaults their W2 FICA earnings to be WHATEVER THE CURRENT MAXIMUM is in the tax tables (in this instance the new years maximum instead of the prior year). -When ready to print W2 – go back into payroll tax tables (Payroll – Setup – Tax Table Maintenance – FED) and this time make note of the CURRENT YEAR FICA maximum. I want to activate the weblinks I went to register but it asks for an account number how do I know what that is?? Erika – I’ll send you the info privately. I just consulted with our accountant who took the webinar yesterday and she feels confident for the first time in three years going into the end of month/end of year closings. I think that speaks highly of the teacher. But then I was too busy to take the webinar this year, so I can’t crack wise.